The Web is seductively lit with attractively coloured lighting this place offers only the best in sound quality and hospitality. You can get anything from cocktails to shooters, wines (red, white, dry or sweet), ciders, all available kind of beers, spirits, mixers and of-course soft drinks inclusive juices. The New Fairmount Hotel and Casino has a state of the art discotheque that offers late night entertainment and plays a wide range of genres to suit everyone. The night club is sound proof and has a large plasma screens strategically positioned for everyone in the club to be able to watch live games from any seat. 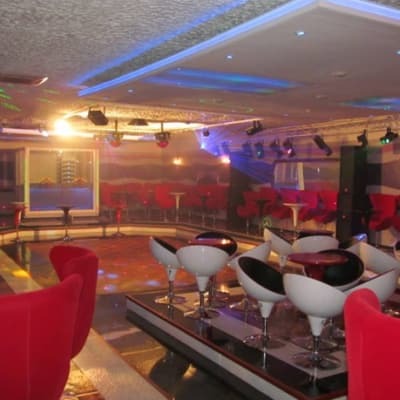 Club pa Zed is a small but vibrant entertainment venue that offers a lively spot for night life lovers. There's a wide selection of beverages including lagers, ciders, whiskey, brandy, cocktails, pure-juices, soft drinks and much more. The waiters and waitresses are friendly and always on hand to assist clients. East Point Discotheque has 4 cocktail bar areas that you can choose from. The outside bar area has a pool table and a large TV screen which usually shows the latest premier football games. The restaurant serves fresh tasty dishes including traditional food and takeaways and shawarmas. Overall Breakpoint Night Club offers an extravaganza of entertainment, musical flavours, styles and DJs to satisfy a broad range of tastes and experiences. Breakpoint in Lusaka is for those who want to have a lot of fun and let themselves go! At Breakpoint you can go dancing every single night of the week.